This is a great recipe. I actually saw a video of roasting them in the oven, and I thought, I guess, I will just try my air fryer. 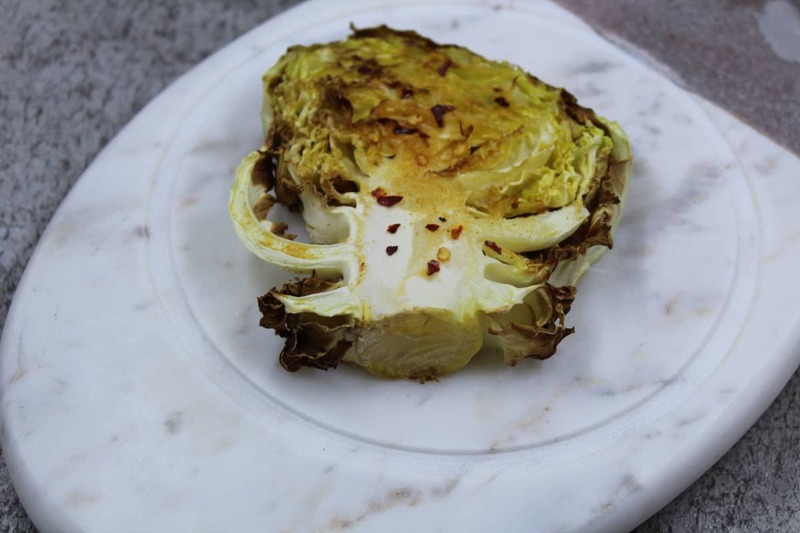 It has an incredible taste, even if you are like cabbage, the spices add so much flavor to the dish. 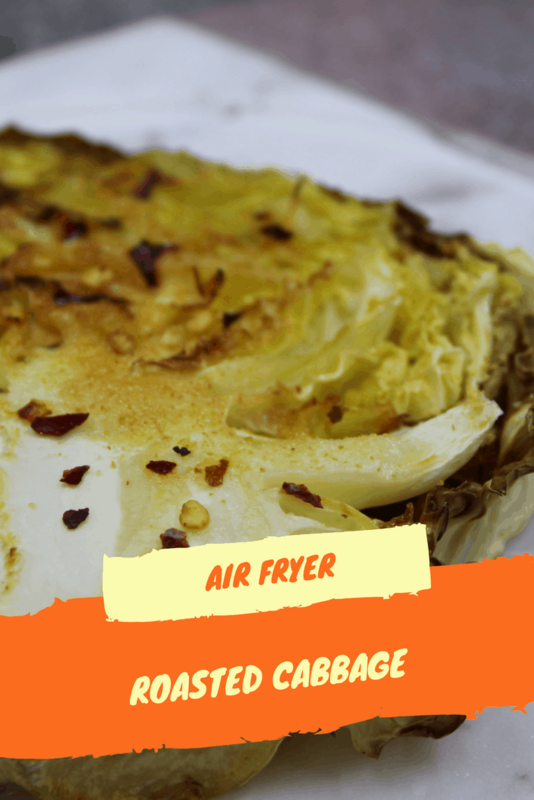 It’s also a steal to get around St. Patrick’s Day because what’s better than Corned Beef and Cabbage, this is how I roll with my air fryer. 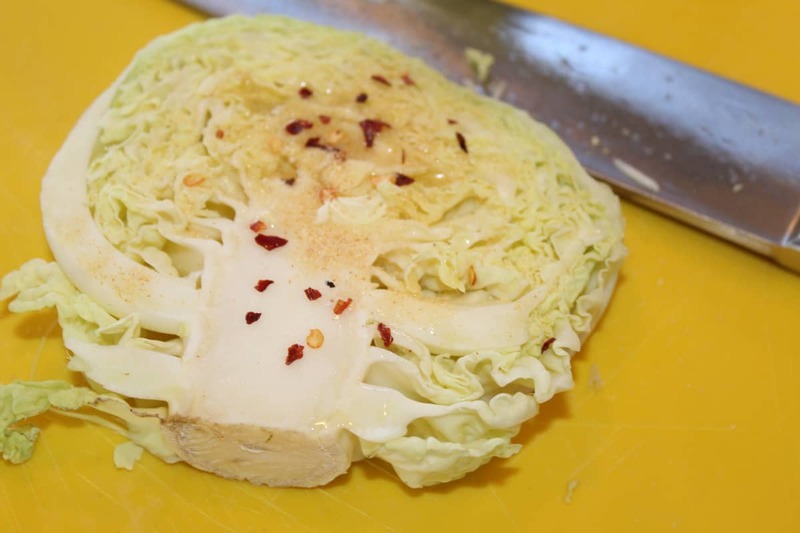 Start by cutting the cabbage into 1-inch slices. If they are too thin or break away, they will fly around in the air fryer. Rub olive oil on both sides and then season it with red pepper flakes, salt, pepper, and garlic salt. 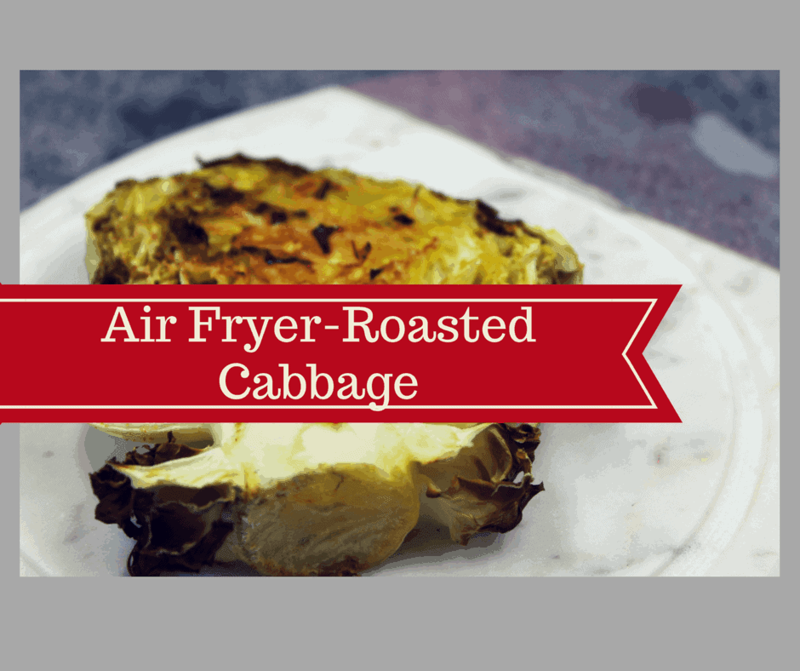 Place the cabbage into the air fryer basket, and follow the directions. 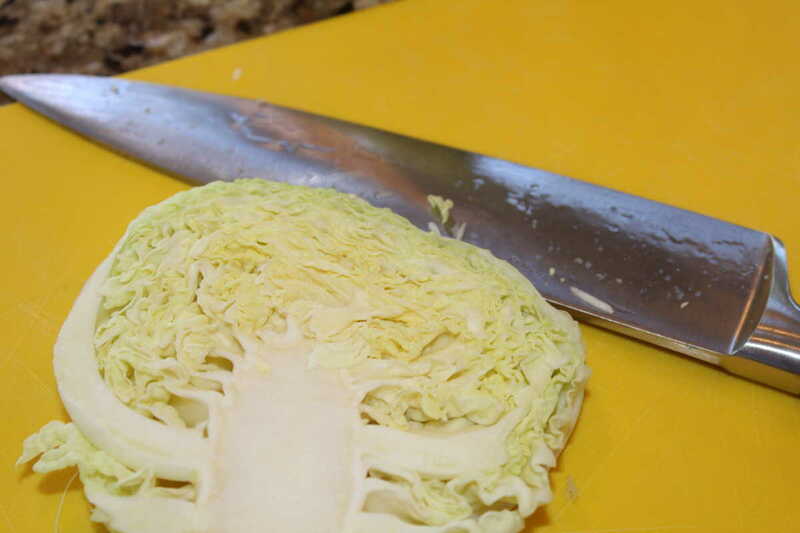 Slice your cabbage into 1 inch thick slices. 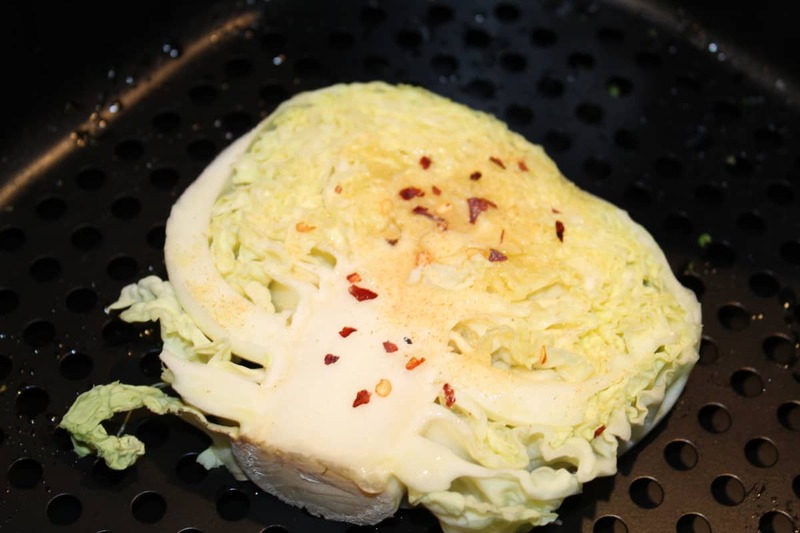 Coat your cabbage slices with olive oil, and sprinkle your spices on to them. 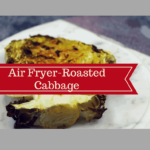 Place the coated and spiced cabbage pieces into the air fryer, set the time for 350 degrees for 4 minutes. When the time is up, flip the cabbage and set the temperature for another 3 minutes.